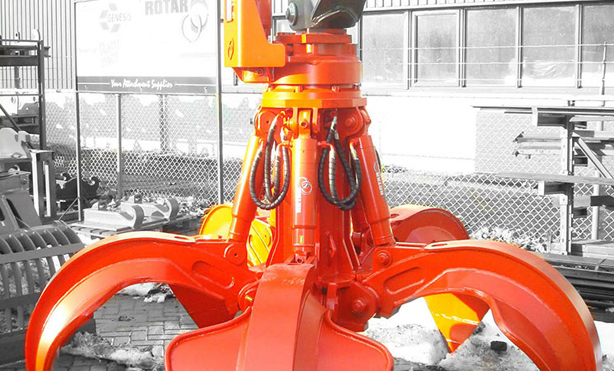 The Rotar Orange Peel Grab has been fitted with a strong rotating headpiece and over-dimensioned slewing ring. The hydraulic motor on the headpiece provides high torque, allowing the orange peel grab to be moved to every possible position. 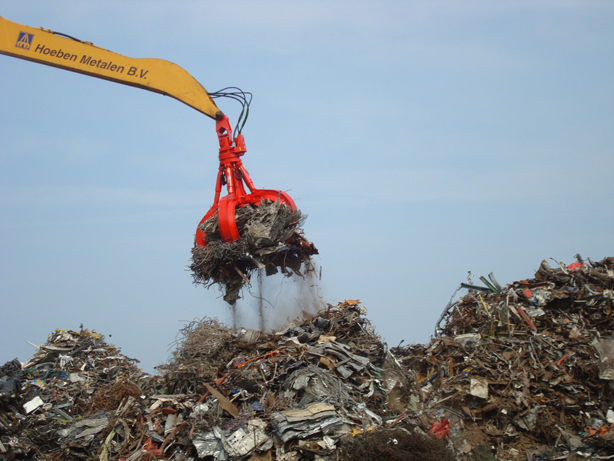 Orange peel grabs are subjected to heavy shock loads. 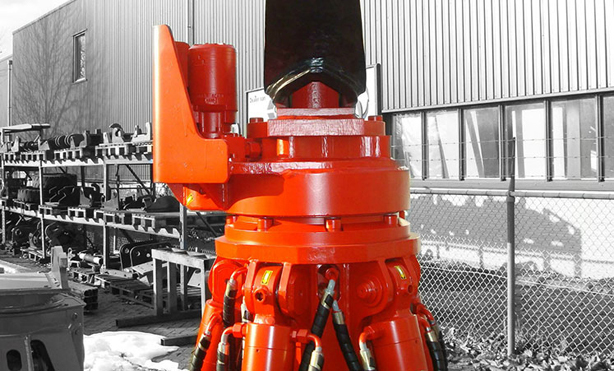 The hydraulic cylinders of the RPG-series are fitted with end-cushioning. The end-cushioning is able to take the heavy punches and protect the cylinders. Moreover, the Rotar Orange Peel Grabs have been fitted with a pressure relief valve that will protect the hydraulic system against peak pressures. The RPG-series’ wear-resistant shell design guarantees optimal penetration. 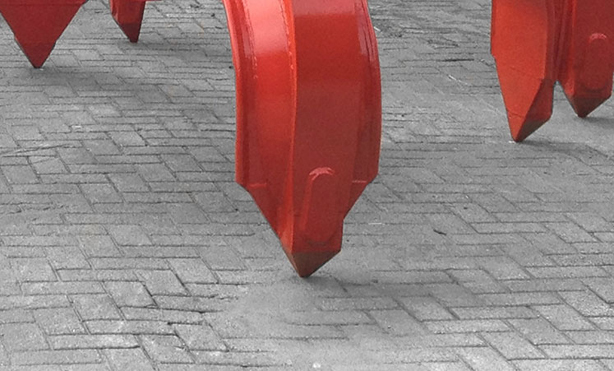 The shells have been manufactured from HARDOX steel and fitted with Manganese tips. Hardened, over-dimensioned pins spin in wide bearing bushes and form an incredibly strong pivot hinge for the grab shells. Every hinge point has been sealed against fat and dust, allowing for optimal lubrication.